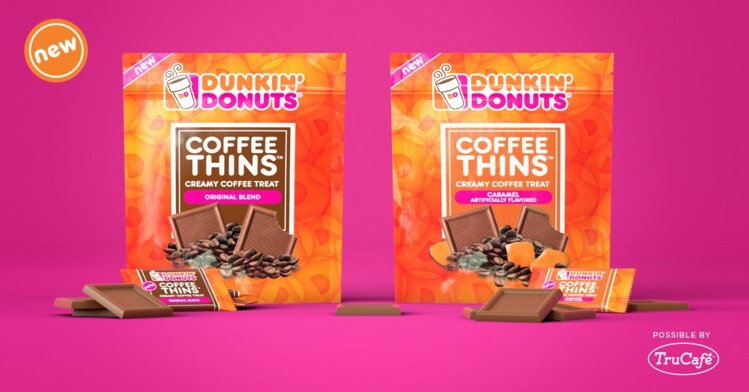 MIAMI, U.S. — Miami-based Tierra Nueva, the coffee technology company majority owned by ProspEquity Partners, announces that edible Dunkin’ Coffee Thins™ are now available at approximately 600 stores in the Circle K, Arizona division. Dunkin’ Coffee Thins™ are also on the shelves in drug store locations and other national grocery stores and retailers. Consumers can choose from two Dunkin’ flavors: Original Blend and Caramel. ProspEquity Partners (PEP), the Tampa, Fla.-based private equity firm building shareowner value through conscious capitalism and a dedication to people and local communities, owns a majority stake in Tierra Nueva. The partnership between PEP’s world-class operational executive expertise and ecosystem of strategic partners and advisors and Tierra Nueva’s industry-leading coffee product development team is launching a coffee revolution that will rapidly scale Tierra Nueva’s worldwide market penetration.